Turn back the clock on your skin with the Japanese skincare brand's range of anti-ageing products. For supple and plump skin, try the brand's best-sellers - the Astalift Jelly Aquarysta, Astalift Eye Cream and Astalift Night Cream. The reformulated eye cream and night cream are now enhanced with oenothera biennis (evening primrose) seed extract that slows down the rate of skin ageing by 3.7 times compared to the previous formula. Its star product is the Astalift In-Focus Cellactive Serum ($222 for 30ml), an essence that helps to rejuvenate your stem cells with nano astaxanthin CP+ and nano boswellin acid so your skin is regenerated and feels firm and youthful. The products are available at Wisma Atria, Jem, and at the newest and largest outlet at Nex. The beauty brand has released its newest line of lipsticks, which pairs a soft matte pigment with a blotted-down finish for a lived-in look that lasts all day. The Crushed Lip Colour ($41) delivers high-impact colour with a matte, just-kissed, stained effect. The lipstick also boasts eight hours of feather-free and fade-proof wear with a new formula that glides on comfortably. It also leaves lips hydrated, soft and smooth with vitamins E and C and beeswax. 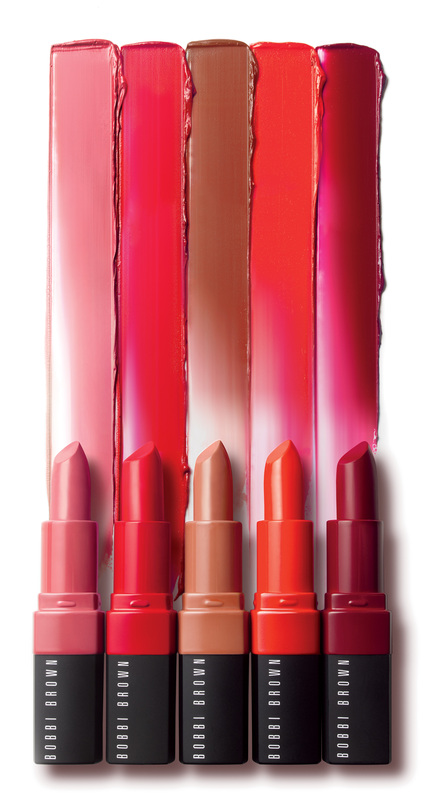 The Crushed Lip Colour comes in 20 shades and is available at Bobbi Brown Cosmetics counters and department stores. The US multinational luxury fashion company has released a new male fragrance. Named Coach For Men ($120 for 100ml, $90 for 60ml and $60 for 40ml), the fragrance starts with an energetic top note of crisp and effervescent green Nashi pear. A spicy burst of cardamom adds warmth, complexity and a subtle touch of sweetness. The scent ends with a textured base of vetiver - earthy, woody and green - layered with hints of suede and ambergris. The scent captures Coach's belief of being enduring and grounded, and blends it with a modern spirit of youthful possibility, upbeat optimism and freedom. Coach For Men is available at Sephora and all major department stores.